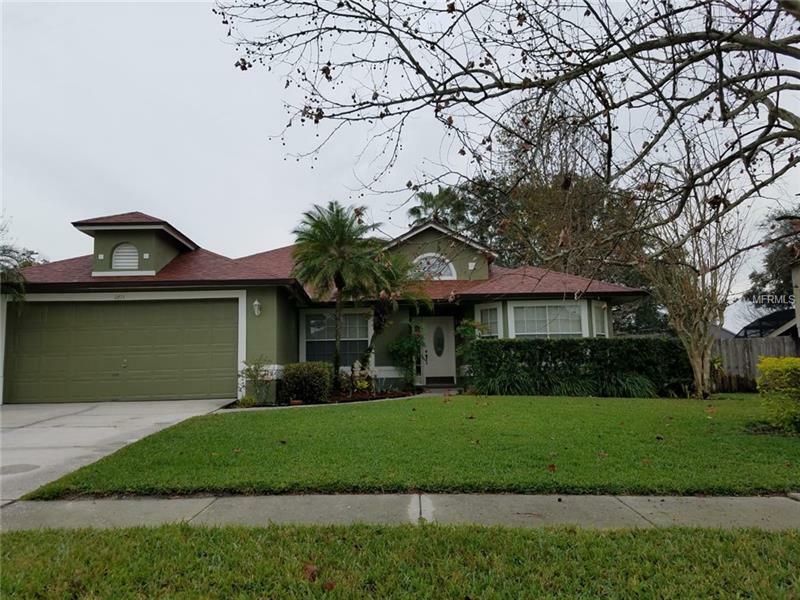 Welcome to this Beautiful Pool Home with 3 bedrooms, 2 baths in the Very Desirable Stillwater Community. Top Rated Oviedo-Seminole County Schools. Home has been very well maintained inside and outside. NEW Roof 2018, NEW Exterior Paint 2018, Pool Resurfaced 2018, New Gutters 2019, Wired for Surround Sound in FR and Pool Lanai, Recessed Lighting installed, 12x24 Tile installed in ALL Living Areas, Wood Floors in 2 Bedrooms, Retiled master bathroom shower & secondary bathroom tub-shower, and so so much more. Floorplan consists of Formal Living Room & Dining Room as you enter the front foyer, Family Room is open to the Kitchen for great family gatherings & entertaining, plus Breakfast Nook and Breakfast Bar. Family room has High Ceilings with double french doors leading out to the large covered pool lanai. SPLIT BEDROOM plan, Master Suite with walk-in closet, dual sinks. Home sits on a large lot with fully fenced back yard, mature landscaping with inground sprinkler system located on a Cul-De-Sac street. All of this in a convenient location close to UCF Campus, lots of shopping and restaurants and the 417 for easy travel to Downtown Orlando and the Beaches. What More Can You Ask For? Hurry to see this great home! PROFESSIONAL PHOTOS COMING SOON.